It’s best to organize the tour a day in advance. Bring swimsuits, goggles and bug spray. Be prepared for bugs. Long sleeves and breathable pants are advisable but can be too warm, depending on the time of year. There’s an early trip and a noon departure. Pack Lunch. Request group rate instead of paying per person. Looking for an easy Mexico kids adventure? This Nayarit itinerary is perfect for kids and it won't consume your whole day. Take a river cruise in the mangroves of Tovara Springs. Start early for a noon departure and pick up some Pan de Banana on your way. Then zip along the river in a panga (fishing boat) with a guide. Spend a little time at a crocodile farm before you head to the swimming hole and restaurant. Make sure to know what time your guide will be picking you up for your return roller-coaster-like boat ride back. All the restaurants sell excellent Pan de Banana. Each loaf has been proven super moist and tasty. Walk up and pay to take to-go (30-60 pesos, or $1.70-$3.40, per loaf). Your kids will love the tasty local treat. DIRECTIONS On your way out of San Blas, heading toward Tepic, keep your eyes out for signs for "Pan de Banana" from any restaurant. There are many different river tours you can sign up for. 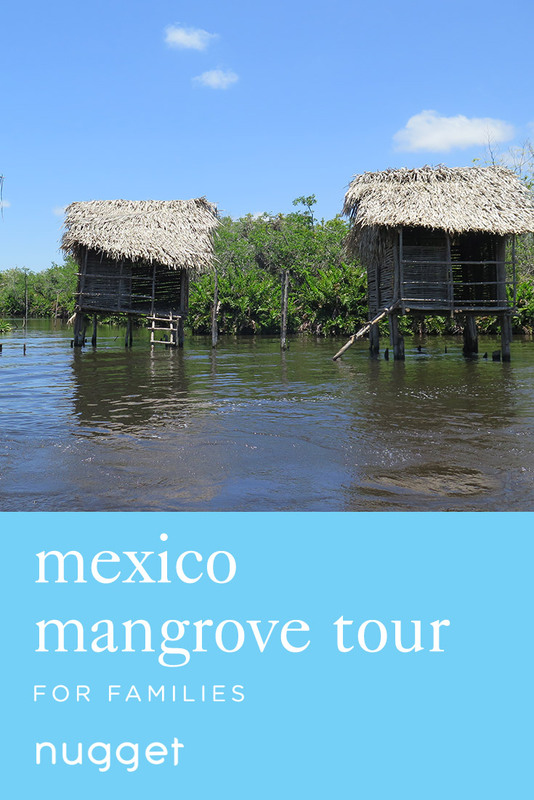 This particular location/venue offers a longer river tour in a panga (Mexican fishing boat) and a knowledgeable English-speaking guide. Learn nature facts and take time to stop for crocodile and other wildlife sightings. Ask to go to the reserve/farm, as well for an added rescued animal experience (jaguar, lions, birds). The freshwater springs has a diving platform and rope swing for everyone to enjoy. There is also a seafood restaurant by the swimming hole. DIRECTIONS Heading East toward Tepic from the town of San Blas, take first right after river bridge. You will see a restaurant/tour departure site with pangas in the water. TIP Make sure to protect yourself from the no-see-ums (jejenes) and mosquitoes.